Infidelity is almost always a source of intense hurt and emotional distress, but an affair doesn’t have to mean your relationship is over. While infidelity is rated as the most serious hurtful event a couple can face, many marriages and relationships can survive the storm and sometimes even make it through even stronger than before the affair occurred. Let’s face it though, it’s going to be a tough road ahead to overcome the damage of an affair and both partners need to be truly motivated to heal. When affairs are not addressed and successfully repaired, the residual injury from the affair can corrode the couple’s sense of connection, safety and trust, making it hard to restore or keep a bond strong. The way the affair is handled will be critical in order to resolve the affair. You may at times feel discouraged or as though healing is too far out of your grasp, but hang in there and remember to keep in mind the reasons you are fighting for this relationship. You may be grappling with such questions as: “How did this even happen?” or “How will we ever get over it?” While there may be a range of reasons why the affair occurred, the most important next steps will be to make the relationship the number one priority. If you do choose to continue working on the relationship, these steps are for the partner who had the affair and how to rebuild trust. Click here if your partner had the affair on you. End the affair Right Away: If you were unfaithful, ending the affair immediately is very important to starting the healing process. You will also want to minimize triggers and things that may still be seen by your partner as threatening to the relationship. Stop all interaction or communication with the other person. If the affair involved a co-worker, limit contact strictly to business, or get another job. It is important at this time to let your partner know that you will protect them from another injury. Acknowledge the hurtful behavior: Be accountable for the affair and any lying or deceitful behaviors that may have occurred when concealing the affair. Yes, you may believe that it was justified because you were unhappy in the relationship. Although it will be necessary to address your sources of unhappiness in the relationship during the healing process of the affair, justifying yourself and/or blaming your partner will make it difficult for your relationship to heal and your partner to feel like you understand the devastation that this action has caused. Listen to your partner’s hurt: Really hear your partner’s pain and try to understand his/her perspective and truly acknowledge the damage caused. Whether the infidelity was one night after too many drinks or a long-term affair, your partner’s hurt really Hurts and they are struggling with the fact that they have lost some degree of trust or safety through this injury. Help in rebuilding the trust: This will be a critical time for the partner who cheated to take practical action to demonstrate sincere remorse and show that the relationship is a priority worth fighting for. This may entail increased transparence such as access to email or phone calls or an increased priority to follow through on promises both big and small. Complete Honesty, Consistency, and Dependability will be key ingredients to starting to rebuild the trust that has been broken and showing your partner that they can start to trust in you again. Do what it takes to protect your partner from repeated hurt. Give your partner time to heal: Facing the aftermath of the affair may feel never-ending, but hang in there. It won’t be this way forever. It will take some time for your partner to recover from what has felt like a legitimate crisis to them, the relationship, and their sense of safety. Your partner wants to move forward too; it just gets difficult to fully trust that they can let their guard down when their body is telling them to protect themselves from getting hurt again. Try your best not to abandon your marriage prematurely, without allowing sufficient time for the healing process to take place. Yes, this may take some time and there’s no telling how long. Variables like: the type or circumstances of the affair, the length of the marriage, the amount of lying or deceit that took place, whether injuries like this have occurred before, and other factors can further increase the length of time it takes to heal. If you really want to save your marriage, both of you need to hang in there long enough to see positive results. If you are in San Diego and trying to rebuild trust in your relationship, affair counseling can help. Schedule your appointment here at Estes Therapy and we will help you get your relationship to the next level. 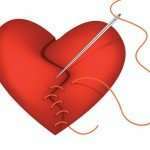 You can learn how to repair after an affair…and it is possible!